We have been doing a lot of promotion of the research we did funded by the Melbourne Social Equity Institute into the National Disability Insurance Scheme of late. One of the things we had the chance to do was to present at the Victorian Parliamentary Library. Myself and two of the community researchers presented the findings and took questions from an audience including a number of MPs from the Victorian government. Other community researchers joined us in the audience and took part in the discussion that followed. In addition to having a wonderfully beautiful library, the librarians are very adept with knowledge translation via social media and have produced a short video clip on our research. You can find this here (if you can bear to look at my face for a few minutes). Many people who are dissatisfied with the scheme have reported they couldn’t find care providers to deliver their funded and approved plans. if implemented well, it will substantially improve the well-being of people with disability and Australians more generally. But the Commission’s paper also expressed some significant concerns at the speed the scheme is being rolled out, and that this could undermine its overall effectiveness. The report highlighted a number of areas that are proving challenging for those accessing the scheme. It noted that such barriers to access are, in fact, contributing to keeping the costs on track. Rarely a day has gone by in recent months without a news story about the perceived failings of the NDIS. The scheme has been reported as “plagued with problems” and concerns aired about a potential “cost blowout” . As a result, the government asked the Productivity Commission to undertake an independent review into the overall costs of the scheme, its value for money and long-term sustainability. The full report is due by September. scale, pace and nature of the changes it is driving are unprecedented in Australia. When fully implemented, the scheme will involve the delivery of individualised support to 475,000 people at a cost of A$22 billion per year. There is no doubt the NDIS is complex, but the Commission finds that there is “extraordinary” commitment to the success and sustainability of the scheme. It notes that making the scheme work is not simply the job of the National Disability Insurance Agency (NDIA), but also that of government, participants, families and carers, providers and the community. Based on the data collected, the Commission finds NDIS costs are broadly on track with the modelling of the NDIA. A greater number of children are entering the scheme than expected, leading to some cost pressures, but the report notes the NDIA is putting initiatives in place to help deal with these challenges. The report also finds benefits of the NDIS becoming apparent, with many, but not all, NDIS participants receiving more disability support than previously and having more choice and control. Many people who are dissatisfied with the scheme have reported they couldn’t find care providers to deliver their funded and approved plans. This kind of under-utilisation of services is a factor contributing to keeping costs on track. Such findings are in line with recent independent research into consumer experiences of the scheme. Overall the report finds there is insufficient flexibility in the NDIA’s operational budget and that money could be spent more in a way that reflects the insurance principles of the scheme, such as greater amounts of funding being invested in prevention and early intervention services. The process of care planning needs greater attention. Pressure on the NDIA to get numbers of people on to the scheme means that the quality of the care planning processes have been decreased in some cases. This has caused “confusion for many participants about planning processes” and has resulted in poor outcomes for them. There is a significant challenge in relation to the disability care workforce. 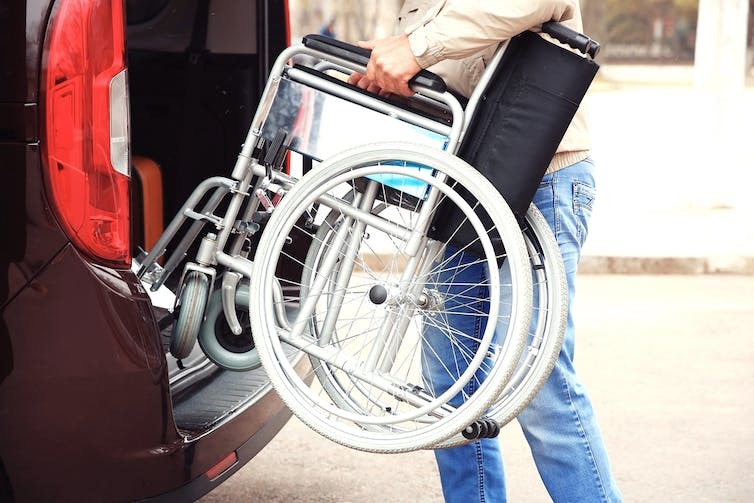 The Commission estimates that one in five new jobs created in Australia in the next few years will need to be in the disability care sector. The report notes that current approaches to generating greater numbers of workers and providers are insufficient. A range of responses required to address these include a more targeted approach to skilled migration, better market management, and allowing formal and informal carers to provide paid care and better price monitoring and regulation. The interface between the NDIS and other disability and mainstream services has also proved problematic. There is a lack of clarity in terms of where the responsibilities of different levels of government lie and who should be providing which services. Some people with a disability have lost access to supports they used to get as state government disability services close down. The Commission describes the roll-out to the full scheme as “highly ambitious” and expresses concern it risks not being implemented as intended. Indeed the speed of the NDIS roll-out is described as having “put the scheme’s success and financial sustainability at risk”. better balance between participant intake, the quality of plans, participant outcomes, and financial sustainability. The NDIS is taking a number of steps to deal with these issues but the Commission “is unable to form a judgement on whether such a refocus can be achieved while also meeting the roll-out timetable”. What all of this means is that we will need to see some enormous political will to enable the scheme to be supported to reach its full potential. This will likely involve some slowing of the timetable for implementation and some difficult work to deal with a number of the areas that have been identified as problematic. Whether the government has an appetite to see this through remains to be seen. Last year I had the pleasure of being part of a panel discussion on commissioning and the community sector that was hosted by the New South Wales Council of Social Service. The panel was convened to try and support those working within the community sector to gain a better understanding of the concept of commissioning and the evidence base behind this. Given the focus on commissioning and contestability developed by the NSW government, there are a number within the sector who are keen to better understand what the implications of these reforms are for their operation. Where commissioning reforms have taken place in other jurisdictions we have seen some significant challenges posed for those in the community sector. A report from the UK House of Commons Public Administration Select Committee found that there was a lack of clarity over working definitions of the concept of commissioning and this posed challenges for community organisations, particularly those who work across multiple government agencies. The report set out a number of areas where improvements might be made in these processes. The Third Sector Research Centre at the University of Birmingham also developed a number of case studies exploring the challenges that community organisations have encountered in commissioning relationships with governments and where some of the gaps in the evidence base lie. 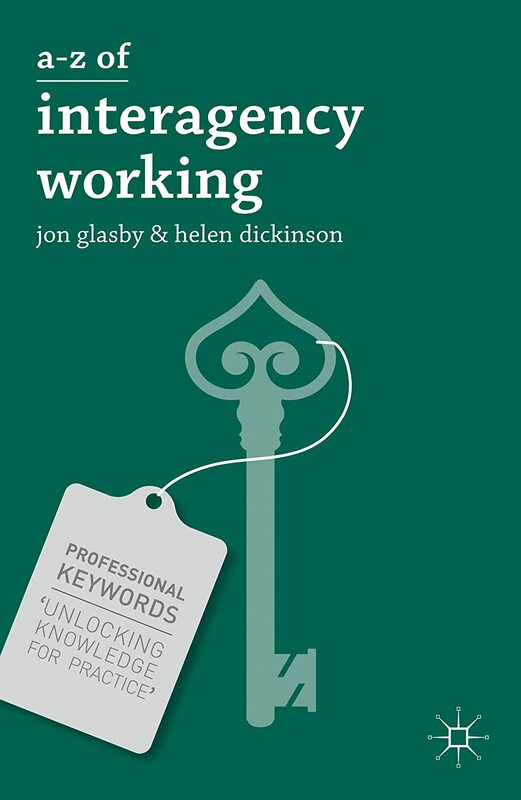 If you are a new-comer to the topic of commissioning, whether you work in the community sector or not, these are a really great introduction to the area and the evidence base. At the newly launched Public Service Research Group one of the things we have been busy thinking about is the development of executive education and professional development courses. We see this as an important part of the way that we go about translating research evidence in a way that is useful to practice, promoting the impact of our work and supporting those who work in public service contexts. All of our programs are intellectually-stimulating and delivered in a highly interactive format to ensure that learning is applicable within the workplace. Our programs can be delivered as intensive subjects over a few days or can be tailored to be ongoing programs (in an action learning form, for example) where participants are supported as they tackle real-life issues. Programs can be delivered as residential, campus-based or work-place based in any area of Australia and overseas. We work to an approach that encourages participants to bring their expertise to the learning experience and to combine this with that of others and our facilitators to generate actionable solutions. We have just advertised the latest of these – a commissioning bootcamp – which is a two day programme designed for those who work in commissioning roles or in provider organisations who are being increasingly required to work within a commissioning environment. This is designed to bring together a small group who will work together with leading experts to address real-life challenges and find solutions. Ultimately the bootcamp aims to produce better understanding into the key issues faced by commissioners and providers and to develop useable tools and strategies that participants can apply within their work contexts. This week two articles on the National Disability Insurance Scheme have made it to early view with Social Policy and Administration. Both deal with important aspects of the scheme drawing on data collected with a variety of different stakeholders from across the system. The first with Catherine Needham, compares the introduction of individualized budget policies for people with disabilities in Australia and England. Data is drawn from semi-structured interviews undertaken in Australia with politicians, policymakers, providers, disability rights groups and care planners, along with analysis of policy documents. This data is compared to the authors’ earlier research from England on the personalization narrative. We argue that the National Disability Insurance Scheme (NDIS) currently being introduced in Australia deploys an insurance storyline, emphasizing riskpooling and the minimizing of future liabilities. This contrasts with the dominant storyline in England in which attention has focused on the right to choice and control for a minority of the population. This difference can be explained by the different financial context: the NDIS needed to build public and political support for a large increase in funding for disability services, whereas in England the reforms have been designed as cost-neutral. Tensions in the English narrative have been about the extent to which personalization reforms empower the individual as a consumer, with purchasing power, or as a citizen with democratic rights. We conclude that Australia’s approach can be characterized as a form of social investment, evoking tensions between the citizenship of people with disabilities now and the future worker-citizen. The second is with colleagues at the Public Service Research Centre on the topic of market stewardship in the NDIS. We argue that personalized care and market-based approaches to public service provision have gained prominence in a range of Organisation for Economic Co-operation and Development countries. Australia has recently joined this trend, launching a complex and expansive programme of individualized care funding for disability through the National Disability Insurance Scheme. Public sector markets (i.e. where governments either directly fund a market by way of competitive tendering, or through personal budgets) have been embraced by actors at different points of the political spectrum and for a range of reasons, including efficacy and efficiency gains, empowerment of citizens and efforts to cater for diversity. Despite the growing dominance of public sector markets and individualized funding, many questions about the role and responsibility of governments in managing and regulating these markets remain unanswered. In this article we outline different roles governments might assume in the creation and management of public sector markets, based on the types of risks governments are willing to take responsibility for. 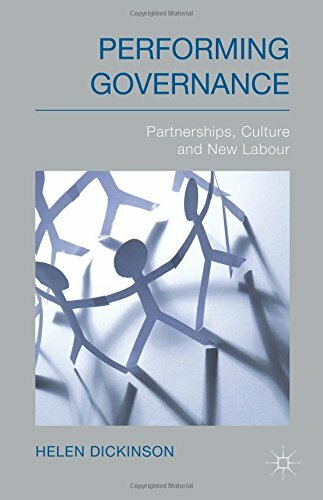 We argue that to fulfil the social contract between government and citizens, governments need to ensure that markets are properly stewarded and embedded in broader social safety nets. This, we contend, can ensure citizens receive the gains of market models while being protected from market failures or market-produced inequities. Our research into the NDIS continues and expect more papers to follow.